Introducing the new lineup of megapixel lenses designed for 1 inch megapixel cameras. 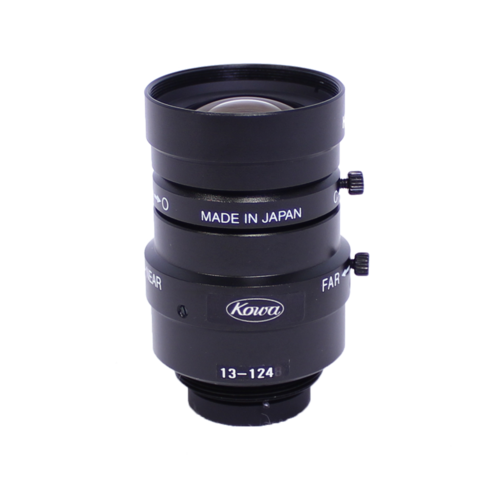 These lenses have low distortion, excellent light transmission and are also highly recommended for use with smaller format size cameras. The series of 8 different models starts with focal length 6mm up to 75mm and is perfect economic solution for 1” sensors with pixel size down to 5µm. The HC-SW series is specially designed for near-infrared and short wavelength infrared (SWIR) applications. Incorporating Kowa´s special coating technology, the 1 inch format HC-SW series will maintain high transmission from 800nm to 2.000nm with sharp pictures from the center to the corner.